Now you can better leverage all that the social networking site for professionals has to offer by creating your small business LinkedIn Page and sharing unique content to a niche audience on the platform. “Pages have been rebuilt from the ground up to make it easier for brands, institutions and organizations, from small businesses to large enterprises, to foster constructive conversations with LinkedIn’s community of more than 590 million members and 30 million Pages,” Sparsh Agarwal, LinkedIn Senior Product Manager, said in a post announcing the new Pages on the company’s Marketing Solutions blog. LinkedIn first launched Company Pages back in 2010. With this revamp of LinkedIn Company Pages, now simply called Linked Pages, the Microsoft-owned (NASDAQ:MSFT) social networking company aims to improve the feature and empower organizations to engage the world’s professional community. Pages community managers, also known as admins, can now post updates and respond to comments on the go from the LinkedIn mobile app for iOS and Android, the social networking company says. Admins can also associate their Page with hashtags, so they can listen in and respond to conversations happening about their brand or relevant topics on LinkedIn. Admins have always had the ability to post images, native video and text to their LinkedIn Company Pages, the social networking company notes. Now they can share documents, like PowerPoint presentations, Word Documents and PDFs to tell richer and more compelling brand stories. LinkedIn has also added a new feature that surfaces the topics and content trending with your target audience on LinkedIn. With these insights, admins can now curate and create content their audiences are sure to engage with, the company says. This will help you grow your audience on LinkedIn. A new suite of tools have been introduced that allow your Company Page admins to discover and reshare your employees’ public LinkedIn posts from their Page. Moreover, LinkedIn says it is rolling out the ability to respond to and re-share any posts on LinkedIn where a company’s Page is mentioned, like customer testimonials and product reviews. All you need to get started with LinkedIn Pages is a personal LinkedIn profile and a verified email address. Create your small business LinkedIn Page and start posting engaging content to grow your community and showcase your brand on the platform. “At LinkedIn, we believe that individuals make up a business, but it’s the community that brings them all together,” Agarwal observes. The new LinkedIn Pages even allow you to manage your Page using popular third-party apps like Hootsuite. With Hootsuite, Page admins can receive notifications within Hootsuite whenever there is activity on their LinkedIn Page, the social networking company adds. Hootsuite CEO & Founder Ryan Holmes notes that overall LinkedIn is a premier place for brands to connect with customers, employees and prospects. 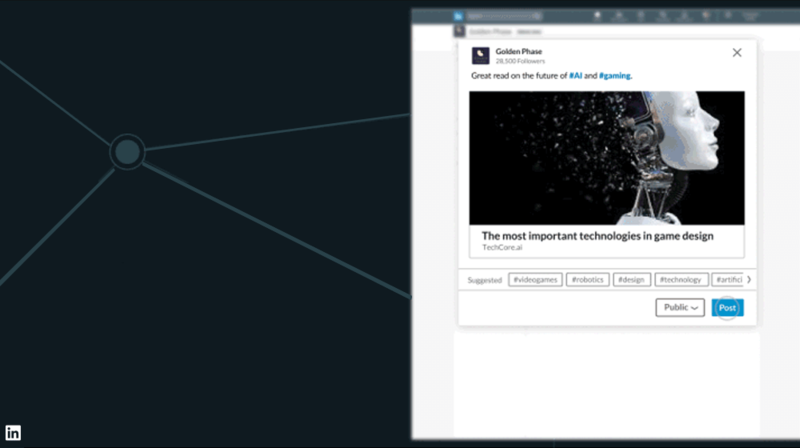 “We are thrilled to be the first social media management solution to build off LinkedIn’s new Notifications API so our customers can more effectively drive engagement on LinkedIn,” Holmes said.